WASHINGTON — The Trump administration is considering ways to expand U.S. homeland and overseas defenses against a potential missile attack, possibly adding a layer of satellites in space to detect and track hostile targets. Details on how far the administration intends to press this in a largely supportive Congress are expected to be revealed when the Pentagon releases results of a missile defense review as early as Thursday. The release was postponed last year for unexplained reasons, though it came as President Donald Trump was trying to persuade North Korea to give up its nuclear weapons. A review might have complicated the talks. The Trump approach is expected to include emphasis on stopping missiles either before they are launched or in the first few minutes of flight when their booster engines are still burning. Congress already has directed the Pentagon to push harder on this "boost-phase" approach, which might include the use of drones armed with lasers. Any expansion of the scope and cost of missile defenses would compete with other defense priorities, including the billions of extra dollars the Trump administration has committed to spending on a new generation of nuclear weapons. An expansion also would have important implications for American diplomacy, given longstanding Russian hostility to even the most rudimentary U.S. missile defenses and China’s worry that longer-range U.S. missile defenses in Asia could undermine Chinese national security. Senior administration officials have signaled their interest in developing and deploying more effective means of detecting and tracking missiles with a constellation of satellites in space that can, for example, use advanced sensors to follow the full path of a hostile missile so that an anti-missile weapon can be directed into its flight path. Space-based sensor networks would allow the U.S. to deal with more sophisticated threats such as hypersonic missiles. "I think that makes a lot of sense," said Frank Rose, a former Pentagon and State Department official and now a senior fellow for security and strategy at the Brookings Institution. "This could make a real improvement in our missile defense capabilities." Current U.S. missile defense weapons are based on land and aboard ships. The test marked the second consecutive successful intercept for the SM-3 Block IIA missile in development. The intercept followed an October success, which shook off two hard-luck consecutive failures. Republican presidents starting with Ronald Reagan, who proposed a "Star Wars" system of anti-missile weapons in space, have been more enthusiastic about missile defense than Democrats. In recent years, however, both parties have argued that better defenses are needed, if only against emerging nuclear powers such as North Korea. Trump's detailed views on this are not well-known. The national security strategy he unveiled in December 2017 called "enhanced" missile defense a priority, but it also said it was not intended to disrupt strategic relationships with Russia or China, whose missile arsenals the U.S. sees as the greatest potential threat. John Rood, the undersecretary of defense for policy, said last year that a space-based layer of missile-tracking sensors would not mark a big shift in American policy or as a security threat to others like Russia or China. "It watches, it detects what others are doing. I don't regard it as a provocative act to observe the missile flights of missiles that are potentially threatening to the United States," Rood said in September. "I don't think having a sensor capability is a sea change for the United States," he added, without stating directly that the Trump administration will pursue this. Directed-energy weapons may be in the field in just a few years, but using them for missile defense will take longer. Such a system is different than the more provocative idea of putting missile interceptors aboard satellites in space, which is not expected to be part of the Trump strategy. Congress has ordered the Pentagon to study it and some senior Pentagon officials have said recently that space-based interceptors are feasible and affordable. However, Rood in September strongly suggested that that Pentagon is not ready to move ahead with that. "Those are bridges yet to be crossed, some time away," he said. Daryl Kimball, executive director of the Arms Control Association, said he expects the missile defense review to endorse an expanded role for missile defenses to counter certain Russian and Chinese missiles, especially those that could threaten U.S. allies in Asia and Europe. 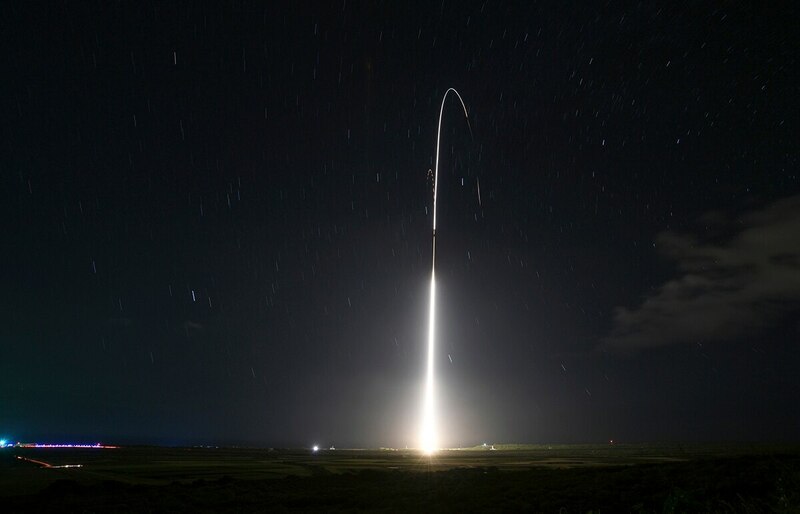 “This is likely to stimulate them to accelerate offensive missile programs, like hypersonic vehicles, that can evade our missile defense,” Kimball said.